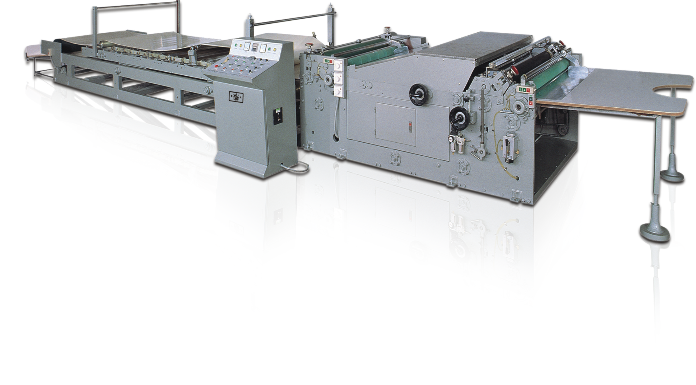 This is our initiated unique front gauge semi-automatic cardboard laminator machine which is suitable for laminating color printing cardboard and base corrugated cardboard (corrugated paper track-A.B.C.D.E.F.N, 3ply, 5ply and 7ply). 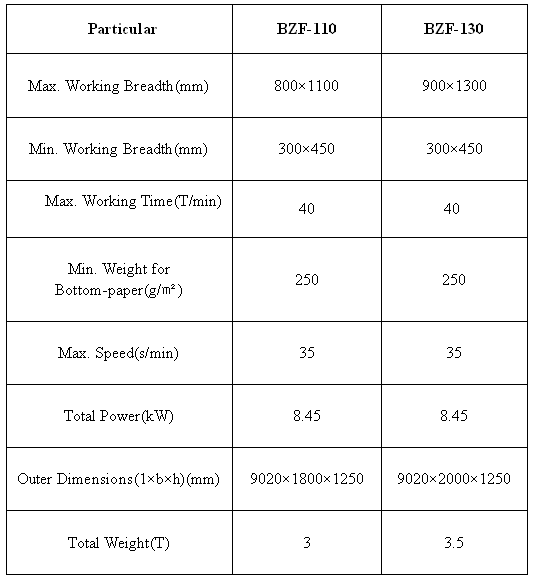 It also suits for color printing cardboard and cardboard laminating. It can ensure that when laminating color printing cardboard and corrugated paper, corrugated cardboard would not move forward. When laminating color printing cardboard and cardboard, cardboards would be in order. This machine is approved by many users that it has features of unique performance, advanced configuration, wide scope of cardboard application, high laminating precision, smooth glue coating, glue saving and simple operation etc.